Have you ever wondered what it would be like to be in the shoes of a National Geographic photographer on assignment? If you are someone who is passionate about photography and seeing the world, there is no doubt that being an acclaimed photojournalist tops high on your list of dream jobs. Like most children of the early 80s, I grew up reading National Geographic and was mesmerized by the photos of cultures and places so incredibly different from my own. Some of these images have remained forever engrained within my heart such as Steve McCurry’s iconic photograph of the beautiful haunting green-eyed Afghan girl who graced the cover of National Geographic in 1985 and has captivated the world ever since. The power of photography is life-changing and transformative. Photographs have a way of touching us in surprisingly emotional ways. Perhaps this is why so many people love photography. It is an art like no other that involves both technical and creative skills, as well as an eye for seeing something magical. An element of photography that is often overlooked is the actual experience of it. A conversation with professional photographer, Catherine Karnow, whose impressive career has spanned over 40 years and whose work has appeared in National Geographic, National Geographic Traveler, Smithsonian and other major international publications, enlightened me on the reasons why the experience of photography is so very special. Catherine had an enchanting childhood. She was born and raised in Hong Kong by exceptional parents. Her father was the renowned journalist Stanley Karnow; and her mother Annette was a gifted artist who infused creativity into every aspect of her life. Annette’s eye for beauty and her passion for art was a strong influence on Catherine. From her father she learned a strong work ethic and the skill to be a story-teller. Her parents allowed her a great measure of independence and freedom, and as a young child she wandered around alone among the back streets of the Chinese fishing village where she grew up. Catherine Karnow with Stanley Karnow, 1960s, Hong Kong. Annette Karnow in her garden, Potomac, Maryland. Stanley Karnow in his office at home, Potomac, Maryland. Catherine took her first photo class in high school and under the tutelage of an excellent teacher, she fell in love with photography. She graduated with honors from Brown University with degrees in Comparative Literature and Semiotics. After a brief career as a filmmaker, Catherine’s passion for photography drew her to Paris where she landed her first assignment 1986 and has been shooting professionally ever since. One of the highlights of Catherine’s forty-year career is her special focus on Vietnam. Catherine’s fascination with Vietnam began in 1990, when her father interviewed General Giap for the New York Times. Although Catherine was not the photographer on that assignment, she found an opportunity to go to Vietnam on her own a few months later and had excellent access to not only General Giap, but also to many of Vietnam’s living heroes at that time. Catherine’s friendship with General Giap and his family opened the doors to twenty-six years of photography in Vietnam, a country that Catherine calls her spiritual home. This morning I took a run around my favorite urban lake and was amazed to see how fast the leaves were falling. We had just returned from a week away in the heat and sun of Florida and in that week it feels as if autumn has come and gone. Despite the warm weather, the leaves are past their prime and falling like rain throughout the air. Swirling colors or red, orange and yellow fly through the sky like birds and land piled up on the sidewalk. The shine of fall is on its way out and there are only a few more weeks left until we reach the barren browns of November. Fall is always one of my favorite seasons in Minnesota as the light is so intense and the colors are truly a testament of the magic of Mother Nature. The air is pure and I feel so alive with energy. I try to take as much of it as I can possibly can, and store it inside me to help get me through the cold, colorless days of winter that lie ahead. Sometimes it works. But usually I have to fly south at least once during the winter months for a break. I am lucky I can otherwise I would find it very difficult to survive a long Minnesota winter without walking barefoot in the sand or feeling the wind against my legs. As for now, I reflect on the gorgeous colors of the shine of fall and what remains. Here are some of my favorite photos from fall in Minnesota. Prague is one of those cities that seduces one’s soul. It is a magically beautiful city that is easy to fall in love with its architectural charm, its open air squares, cobblestoned streets and endless array of terra-cotta rooftops, medieval churches and spires. Voted as one of the top touristic destinations in Europe, Prague has obviously been discovered and the best way to see her unspoiled beauty is to get up and going early. On our last morning in Prague, we set off right after breakfast to Old Town Square to climb the Bell Tower knowing that if we were lucky, we would beat the crowds. Our timing was perfect and there is nothing quite like getting a bird’s-eye view of the city as it wakes up and comes to life. Old Town Hall (Staroměstská radnice) was built during the reign of King John of Luxembourg in 1338 as the seat of the Old Town administration. The oldest part of the complex consists of a lovely Gothic tower with a bay chapel and a unique astronomical clock – known as the Orloj –which is the oldest and most elaborate functioning astronomical clock in the world. Although watching the hourly presentation of the “12 Apostles” is a huge tourist attraction, the real pleasure of the Old Town Hall is its remarkable views of the city from the Bell Tower. As you climb up a series of winding steps, you are delighted with a sense of awe and wonder at the views below. Here are a few of my favorites. There is nothing more spectacular than a Minnesota summer. After a long, snowy and cold winter when the sun sets before five summer arrives and the world comes to life again. 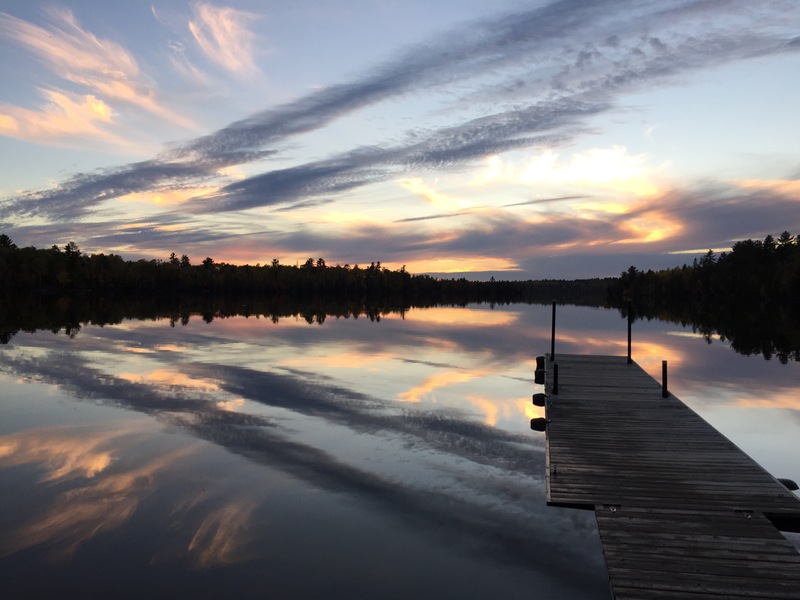 The birds sing, the air smells of flowering trees, and the sunsets that grace our 10,000 lakes are out of this world. I am fortunate to live in a large city that is filled with culture, fantastic restaurants and tons to do but is also blessed with nature. Minneapolis is nicknamed the “city of lakes” and right outside my door is one of four urban lakes that flows through the heart of the city. I spend time here almost every single day, year round, running, biking and walking. They even plow the snow off the running and biking trail in the winter. I’ve seen bald eagles, loons, muskrats, red foxes, turtles, blue herons, white egrets and even wild turkeys, all along my most favorite urban Lake Harriet. It never ceases to amaze me that in the heart of a city you can see so much nature. My most favorite time to enjoy the lake is in the summer when the sun doesn’t set until almost ten o’clock and it is warm, humid and inviting. Last night, I took a walk before bed to catch a glimpse of the dramatic sunset. It had been hot, humid and stormy yesterday so I know I’d get a purely sensational sunset and I was right. Here is pure Minnesota in all its glory. It is not fly-over land like some east and west coasters like to call it. It is beautiful and I sometimes have to pinch myself how lucky I am to live in such a wonderful place. Oh Mother Earth how I love thee. I am disheartened by the constant heartache you have to face. The earthquakes, the floods, the wildfires and the taking away of your beauty. It saddens me greatly. You are such a beautiful place! I sincerely hope that future generations learn to love and protect you and don’t throw the beauty we have away. There is so much working against you. As I breathe in the thick smoky, polluted air today that has blown in to Minnesota all the way from the fierce wildfires burning in Alberta, Canada, I am sad and filled with despair. When will we take better care of our most important thing we have? Our planet? Of course some of these forces are simply due to Mother Nature but many other devastating things are due to humans. How will you handle over 8 billion people living and taking your resources? I wish there was an easy answer. Our beautiful pristine Northern Minnesota.